This is a promotional picture taken in 2000. 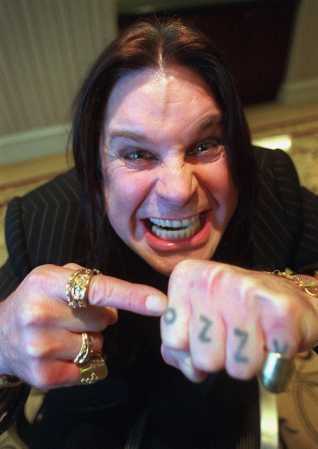 Ozzy Osbourne “rule’s” and Black Sabbath is “very cool” too! I love Ozzy’s music and I am only 11 and I’m a girl. And Ozzy is awsome I would love to see him in concert! Im 14 and i would love to see them in concert too!! I’m 23 I went to see Ozzy live for the first time in 2011 in San Antonio TX I’ll say this much its like no other the best Concert in my life. When you guys are will come to Brazil? Y dale OZZY LA PUTA QUE LO PARIO! Y DALE OZZY LA PUTA QUE LO PARIO! ozzy must say something for Bill on drums! Vengan a Chile. OZZY el gran Maestro del metal. Aguante Sabbath!!!!!!!!!!!!!!! What can be said that hasn’t been said?Ozzy is a legend through Black Sabbath and his solo career.He has had good musicians in his band.He has done alot for Rock and Heavy Metal.Sadly enough too many know him through that reality show sitcom-“The Osbournes”.He has been a legend through the Ozzfest,as well.Ozzy is not an actor,but he is an entertainer,(unintentional)comedian,good performer,good guy to the fans,and not the greatest singer,but not the worst,either. I discovered Ozzy through the music of guitarist,singer,and foxy babe Lita Ford.It was the video to “Close My Eyes Forever”.Then in 91′ I heard -“No More Tears” and “Mama,I’m Coming Home”.I became a die hard fan in 2001.Through the Ozzfest and Ozzy’s career ,I learned about Sabbath.I was first introduced to “Iron Man” and “Black Sabbath”.That was in 1993. My favorite Ozzy albums are from 1980 to 1991.That is the golden age of Ozzy.I thank -Allah/God -for Ozzy everyday.Everytime I was felling hopeless,Ozzy and Sabbath was there for me.I love the sound Of Ozzy’s voice(before pro-tools).I always have an Ozzy tribute vocal when I make up my own songs.I try to sing the song like myself and end up sounding like him(not always meaning to). I am glad that Doom and Stoner Metal is keeping to the Sabbath sound.I love when Steve Hennesy of the band Sheavy(pronounced-Shev-ee)sings like Ozzy.He does it dead on and it is beautiful.I am glad to be one of his impersonators,as well.He has inspired me greatly.No matter how heavy a song is,Ozzy maintains that melodic tone.Ozzy is not God to me,but I do love him. I will miss him when he is gone.I am getting teary eyed writing about this.My favorite singers are-Freddie Mercury(of-Queen),Ronnie James Dio,Rob Halford,Elton John,and Ozzy.He is the true icon.Ozzy is an inspiration to me.May the music live forever.I love Ozzy the way Ozzy loves Paul McCartney,John Lennon,George Harrison,and Ringo Starr. 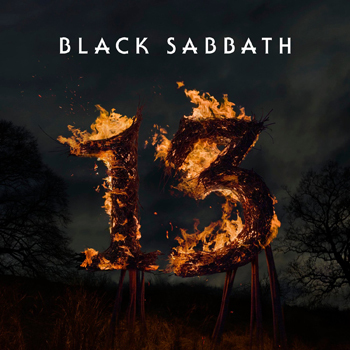 and it not truly be Black Sabbath without Bill Ward?……. this is like learning that there is no GOD to me ……. Just because one member leaves a band its no longer the same band and they should change their nam?What about deep purple look at how many lineup changes there was in the band,was it not Deep purple anymore..What about iron maden they had a different singer for a while was it not Iron maden? (probaly before your time).What about the group survivor?They changed singers also should they have changed their name also?You get my point I hope? ozzy you did well over all these years now you will be in the news like gerge jones.DEAD!!!!!! Ozzy Osbourne – providing the sound track to my life, 40 years and counting. 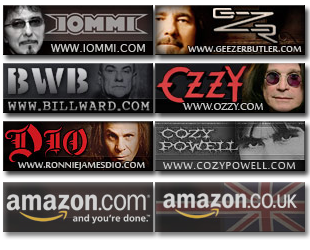 ozzy / black sabbath have pretty much broken everything else music wise for me, other stuff maybe ok….. theres a couple greats, but only these guys are fantastic!